Transferring information between computers is easier now than it ever has been. I remember back in the days of my Commodore 64 when it was near impossible to exchange information between different machines unless they were of exactly the same manufacturer and model and had compatible peripherals.Modems were primitive devices that few had access to and as such you ended up saving the information on to an audio cassette, then either posting or exchanging it in person. Today things are much different; irrespective of your computer configuration you can easily transfer information via a number of removable media types or alternatively instantly to any location in the world over the Internet.There is no doubting that the Internet has revolutionised how we move data and one resultant technology currently experiencing rapid growth is online personal storage. Physical media such as a flash pen drive is fantastic but is not without its drawbacks.For example, it is so easy to leave at home when it will be needed or even worse if lost then you not only have to worry about the information being lost but also potentially falling in to the wrong hands. Is secure – All the information stored is encrypted and can only be accessed using a designated password. Is portable – You can gain access to your files from any machine with an Internet connection. Is free – Most services are either completely free or include a free ‘lite’ version. Is large – Whilst capacities vary, several gigabytes of free space is the norm. 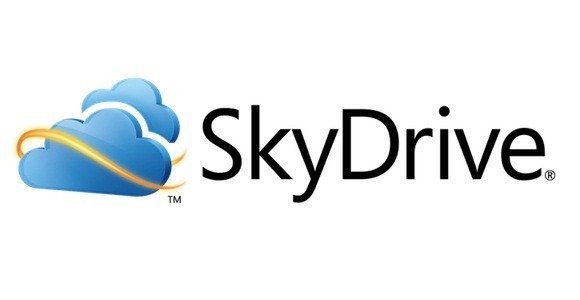 A good starting point for most would be the Microsoft SkyDrive service.Direct your browser to http://skydrive.live.com and you should be able to get going immediately if you already have a Windows Live ID.This would have been set up in the past if you use another Microsoft online service such Hotmail, MSN Messenger or some other Microsoft Service however if you don’t yet have one then signup is free and easy. Once you have logged in you will immediately be given access to 5GB worth of storage space; this represents a higher capacity than most flash drives on the market.There is one rather annoying limitation in that no single file can exceed 50MB meaning that large videos and applications are out of the picture. Once logged simply select an existing folder such as ‘documents’, ‘photos’, ‘videos’ or alternatively create your own.Once within any folder simply click on ‘add files’ then start selecting files off your hard drive which you wish to upload whilst keeping an eye on the free space indicator on the left hand side of the screen. You can then view your files from any computer simply by heading back to the Skydrive website and entering in your Windows Live ID details again.For less sensitive information such as photos that you wish to share then you can also create a number of unrestricted folders which you can choose to share with either friends of your choosing or the entire Internet. Additionally you can also give friends ‘editor’ rights which will allow them to alter files in designated folders on your online storage drive.This ability to collectively view and alter files between preselected individuals could be extremely important for those that want to collaboratively work on and share data irrespective of their physical location.